I am too old to dress like a teenager. I have been for several years now. 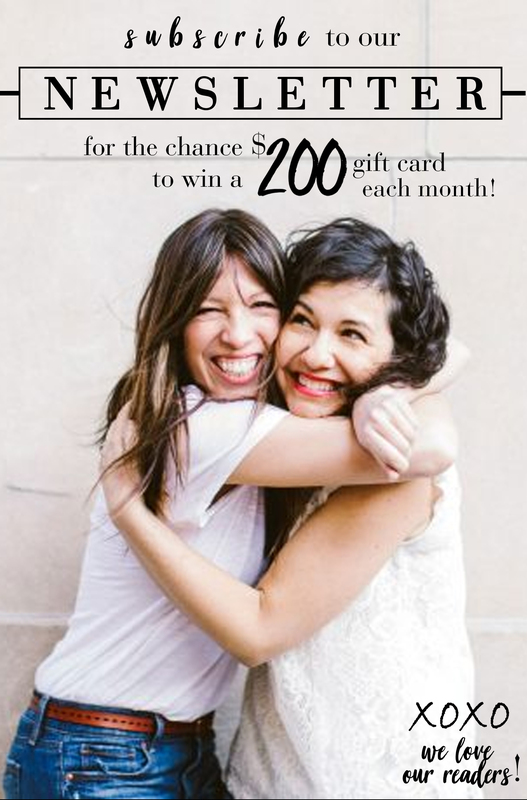 It started when I hit age 27. I realized that certain styles no longer looked quite…right. Despite the fact that I’ve never really looked my age, after I hit 27 I no longer wanted to look teenager-y. Young is OK, illegal is not. This is an important point to make, because I’ve often heard fashion experts say that ripped or destroyed denim should be left to the younger set. I disagree. How you wear this kind of denim makes all of the difference in the world. And this fall, destroyed denim is back in a big way. I love this look for moms — done correctly, it manages to give you a slightly edgy look, like “Yes I am a Rock Star, now watch out before I run you over with my Bugaboo”. The light colored jeans on the left are the True Religion Joey Flare Jean in Destroyed, and can be purchased at shopbop.com for $216. 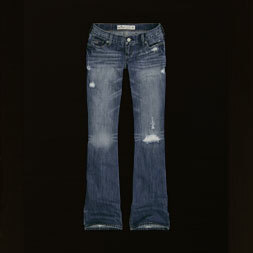 These jeans, one could argue, started the destroyed craze. These jeans actually came out 5-ish years ago, were spotted on a number of celebs and promptly sold out. Fast forward to the fall of 2008, destroyed denim feels new again, and True Religion brought these babies back by popular demand. Lucky us. The jean on the right (also from shopbop.com) is from Seven for All Mankind’s new Eco line, the Organic Boot Cute Jean in Vintage California, $225. 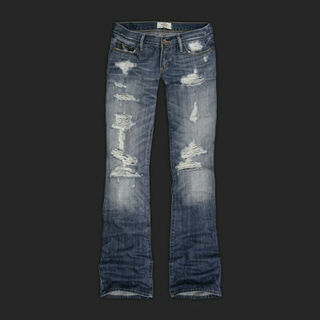 Of course the best affordable options for Destroyed jeans would come from Abercrombie or Hollister. But these jeans are worth braving the aloof teenage salesclerks, the obnoxious music and the thick, cologne scented air. 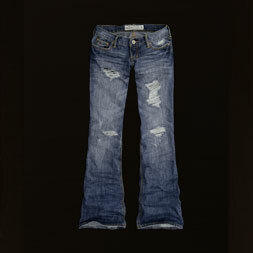 The jean on the left is the Tristan Destroyed Boot in Light Superdestroy, $99 at Abercrombie and Fitch. 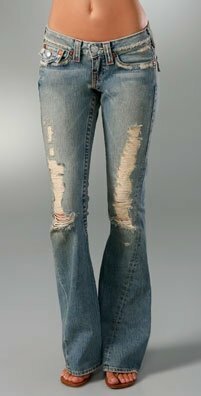 The middle jean is best for those of you who are either unsure of the destroyed look, or are still worried that you are too old to pull it off. They are the Venice Boot Destroyed in Medium Destroyed, $60 at Hollister. 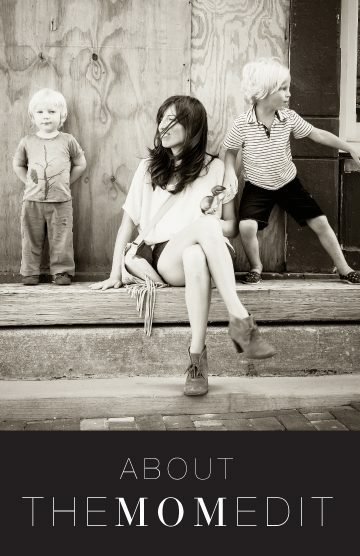 The last pair is a set of flares, and are best on moms under 35. They are the Baja Superflare in Dark Destroyed, $70 at Hollister. Both destroyed styles from Hollister come in a wide range of colors (light to dark)…and to be honest, I like all of them. Choose the one you like best. A good rule of thumb is that the older (or curvy-ier) you are, the darker your denim – even when it’s destroyed denim. The older you are, the more you want to offset the casualness of the destroyed denim with classy accessories and clothes. You want the destroyed denim to look like a fashion statement, not like you threw on the first thing you found on your floor. The J. Crew stylist demonstrates this approach amazingly well (picture at left). She pairs ripped jeans with a cashmere sweater and a pile of pearls. Perfect. Don’t wear destroyed denim that have stains on them. Destroyed denim doesn’t say, “I no longer care about my appearance”, but will when stained. Remember that there’s a lot going on with destroyed denim, so keep the rest of your outfit simple. Also choose your ripped denim carefully — a bootcut pair is easier to pull off than a superflare, darker colors are easier to pull off then lighter pairs. There’s nothing classier than cream cashmere, and it hides spit up very well. The sweater on the left is the Isaac Mizrahi for Target Cashmere Turtleneck Sweater in French Cream, $50 and is for those of us who are fairly happy with our post baby body. For those of us still working on a post baby ponch (or arms), I also really like the Moss Blk Kimono Cowl Neck Sweater in Polar Bear, $25 also from Target. The shiny Wide Patent Leather Belt in Root is at J. Crew for $55. I’d wear it with the Gabriella Rocha Janelle boot in Natural, $139 at zappos.com. The boots have a very low heel, but enough polish to pull off the destroyed denim. To finish off the outfit, I’d pair it with a really fun cocktail ring that also adds a pop of color. Cocktail rings are kid friendly, and are a great way to add personality to an outfit. 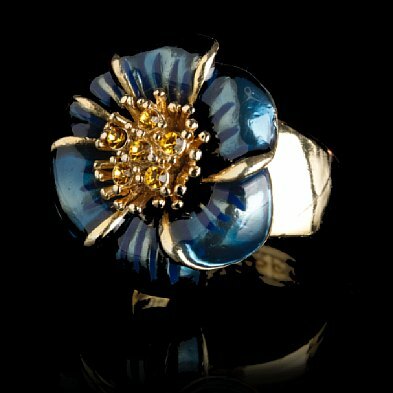 My current favorite is the Desert Floral Cocktail Ring in Deep Peacock from J. Crew for $55.